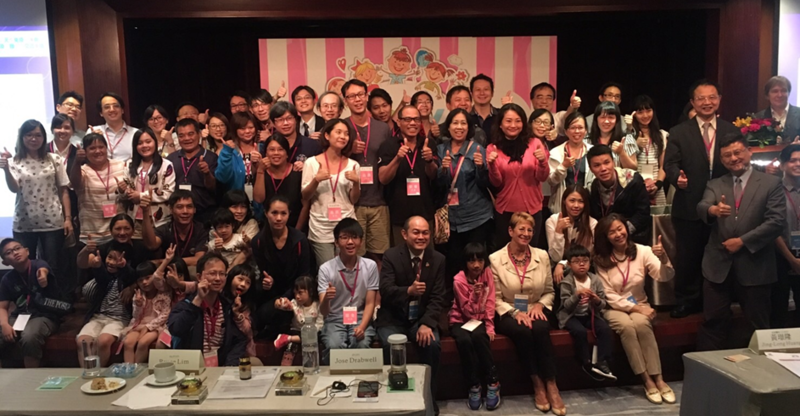 IPOPI organised two very successful Launch Meetings bringing patients and doctors together in Taipei (Taiwan) and Manila (Philippines) in October and November respectively. The events’ programmes featured clinical meetings and patients workshops. Both events brought to light national challenges and prepared the ground for the launch of a national patient organisation in the country to further spread awareness of primary immunodeficiencies (PIDs) and help patients in Asia. The Taiwanese meeting brought together 60 patients and doctors and allowed for identification of key national challenges. Access to treatment in Taiwan is fairly good but misdiagnosis is very common due to the lack of PID awareness in medical school curriculum. Participants agreed that there is an insufficient number of PID specialists and that pursue of immunology related studies should be fostered. The cultural issue of stigma towards PID patients or their parents was also discussed and remains a big concern for the PID community. A scientific meeting targeted for doctors and PHD students followed. The invited medical speakers Prof Martin Van Hagen (Netherlands), Dr Adli Ali (Malaysia/UK), Dr Kuo-Wei Yeh and Dr Jaing Tang Her accessed the situation in South East Asia and provided great presentations on how to suspect, diagnose and treat PIDs. Key steps were taken at the meeting to ensure the formation of a Taiwanese patient organisation for PIDs in the near future. The event in Taiwan was sponsored by CSL Behring. The Filipino meeting featured a two day programme split between a CME Scientific Meeting on day 1 and a Patients’ Workshop on day 2. The event was very well attended, bringing together over 80 participants on day 1 and 100 participants on day 2. The guest medical speakers provided presentations on an array of topics tailored for the national doctors ranging from “How to diagnose PIDs with inexpensive tests” by Dr Teresa Español to “Novel insights into PID: new genetic defects” by Prof Martin Van Hagen. Dr Teresa Español also highlighted some case study examples from Spanish patients and Dr Florecita R. Padua spoke about PID management in the Philippines. On the second day of the meeting participants got together to come up with a collaborative approach towards PID management. Prof Martin Van Hagen (The Netherlands) did the first presentation of the day and spoke about Primary Immunodeficiencies and the Immune System’. IPOPI Board member Bruce Lim from Malaysia shared the experience of creating a patient group and Dr Narissara Suratannon brought the Thai example of doctors and patients working together towards better PID awareness. Mr Johan Prevot, IPOPI’s Executive Director and Mrs Jose Drabwell IPOPI’s President, provided additional guidance on the role of patient organisations to improve access to early diagnosis and care. In the Philippines, PIDs are rarely identified and therefore rarely treated. Many patients and their families need to raise funds to obtain their treatments because PIDs are not recognised in the national healthcare insurance system. The lack of expertise among doctors leaves the Philippines with only a few diagnosed cases of PIDs. The access to treatment is very restricted in the island states with 7 640 islands but only 3 treating hospitals. Participants reached a unanimous agreement that there is a need to launch a national patient organisation in the country. IPOPI looks forward to supporting the objective of formalising these two new patient groups and has great confidence in their ability to improve conditions for the PID patients’ community in the region. The Philippines event was sponsored by Kedrion.